His drinking and pub crawling are legendary, sometimes overshadowing his brilliance as a writer and performer. And about a decade ago, director/producer Sarah Share attempted to capture it all. If I Should Fall From Grace: The Shane MacGowan Story captures the real paddy rolling stone. He slurs, drinks, and shows flashes of genius. A must see for any MacGowan and Pogues fan and an infinitely interesting documentary for anyone who wants to understand why they are fans, Share uses archived footage, music videos, and interviews with friends, including Nick Cave and former Pogues bandmates; family, including MacGowan’s parents; and MacGowan himself, to tell the story that spans from his early days in Ireland to his success as a musician. The documentary is at once engaging and meandering, joyful and sad. MaGowan’s parents describe with some bitterness how they moved to England in the 1960s because work was so scarce in Ireland. It was there that the family endured what they describe as racism against the Irish. It was likely this antagonistic environment that helped to form the basis of MacGowan’s rebelliousness. There seems to be little doubt it fueled his Irish pride with sometimes spirited and other times self-destructive ends. MacGowan was a bright student, but bad behavior and drug abuse quickly resulted in his expulsion from school. Still, his parents knew MacGowan had talent as a writer, thinking his success might one day come as an author or journalist. MacGowan, though, always knew his writing would come out through music. 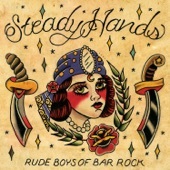 Pogues, paddys, and brilliant performances. The film explores the Pogues’ early days and MacGowan’s work as an architect of a new brand of Irish/punk music. As such, it delivers great performances of Paddy Public Enemy No. 1, If I Should Fall From Grace With God, Streams of Whiskey, the Irish Rover, Lonesome Highway, and more. Not surprisingly, there is a difference of opinion regarding MacGowan's departure from the Pogues. Former members say they never kicked him out of the band and that it was his decision. He sees it differently. No matter. Live footage reminds everyone why the past might be muddled, as MacGowan visits various pubs, always wiling to chat with the locals or stop to have a picture taken with one of the lads or older ladies. He is rarely without a cigarette and a glass of gin in his hand. And sometimes, it is difficult to decipher exactly what he says or wants to say. He is a drunken mess yet somehow manages to retain his self-respect too. Much of it can be attributed to his natural and authentic “I’m one of you” demeanor. MacGowan has never been one to let success go to his head. And it's this lack of arrogance that allows his flashes of brilliance to shine through. Everyone wants to love Shane MacGowan. His long-time girlfriend, sometime model and wannabe writer Victoria Clarke, is articulate. She is one of those rare people who is willing to let MacGowan be who he is, but leaves people wondering if she is the world’s greatest textbook example of an enabler. Or maybe it's something else. There is always the possibility she wanted to be along for the ride, living vicariously through him — a writer aching for success linked to one of the world’s greatest lyricists. 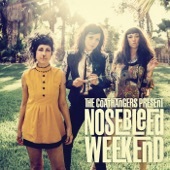 Much like the breakup of the Pogues, it doesn't matter. The motives can be guessed at, but babysitting MacGowan isn't an easy job. Share learned it for herself, and deserves props for hanging in there and getting the film made. MacGowan was, as she told the Irish Herald, “difficult.” At times a borderline invalid, MacGowan continually medicates himself with drink and drugs. she said. 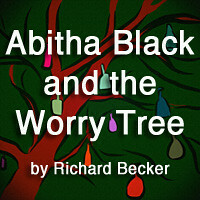 On many occasions, she sat waiting outside for hours for him to answer the phone or the door. “I’d arrive at noon and finally get him out to do something at midnight,” she said. If I Should Fall From Grace: The Shane MacGowan Story Rolls A 5.4 On the Liquid Hip Richter Scale. Share smartly opted not to tell MacGowan’s story through narration, preferring to let footage and interviews do the job. And even more remarkable is the knowledge that MacGowan isn't dead and neither is his career. He still performs, records, and continues to be a favorite of folks like Cave, Elvis Costello and Johnny Depp. There is no question MacGowan has declined dramatically over the last decade. You can see it easily enough comparing newer footage to what Share caught on tape. And yet, the story isn't over. 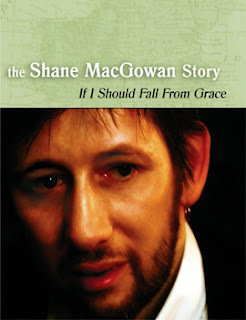 If I Should Fall From Grace: The Shane MacGowan Story can be download on iTunes ($5.99 at publication; $2.99 to rent). You can find the DVD on Amazon, which includes an additional hour of footage including interviews and raw footage of MacGowan. The original DVD can be found at Barnes and Noble.